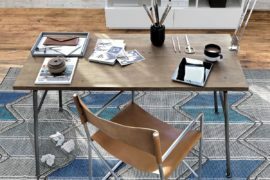 One of the reasons we enjoy design so much is that it has the ability to elevate the mundane into a source of daily inspiration. 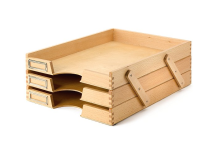 The common paper tray is a prime example of something that can be infinitely boring or wonderfully eye-catching depending on the thoughtfulness of its design. 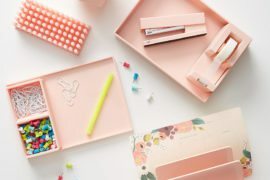 If your desk could use a bit of a pick-me-up, spruce it up with one of the pretty paper trays in our roundup after the jump. 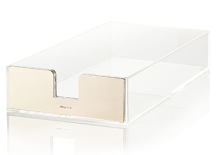 Airy with just a whisper of bling, Kate Spade’s gold and acrylic paper tray is like a piece of jewelry for your desk. 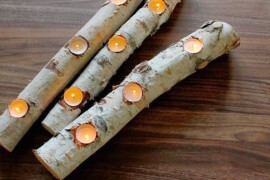 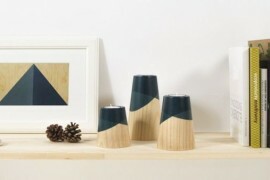 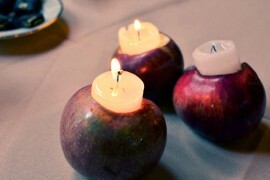 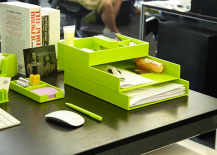 To complete to look, pair it with the coordinating pencil cup, stapler and tape dispenser. 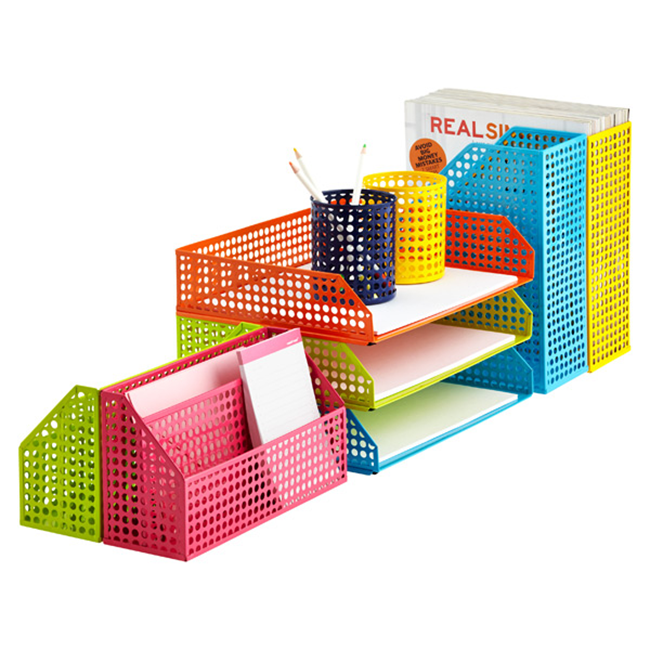 Brighten up your workspace with Poppin’s candy-colored, stackable “inboxes”. 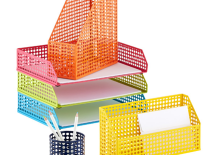 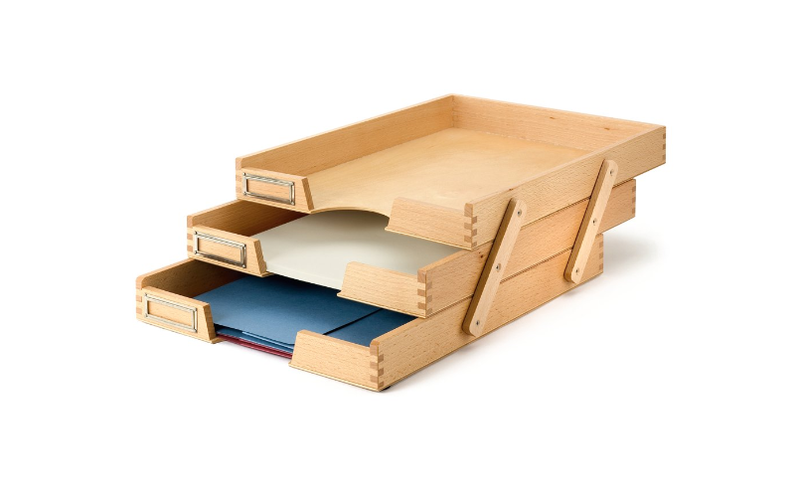 The rainbow-hued trays can be combined in three ways – perpendicularly, staggered, or directly on top of one another – to keep all of your documents in tidy order. 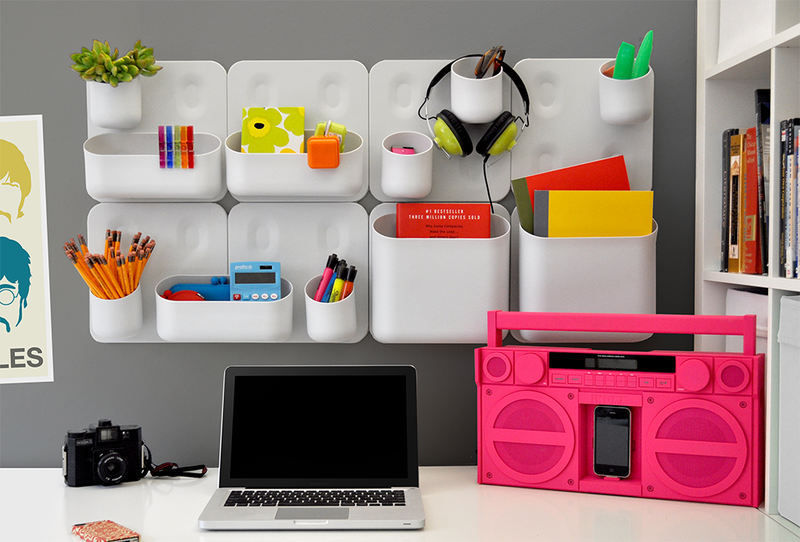 Originally designed to hold plants, the Urbio system is a collection of magnetic wall containers that can be adapted for the office. 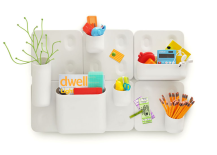 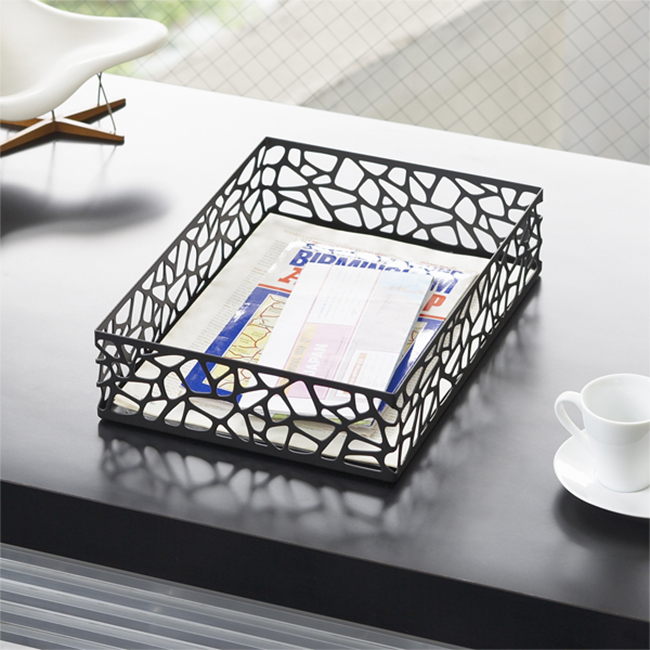 The Big Daddy container is the perfect size for filing papers and magazines, and you can connect as many of them together as you want for the ultimate organizational display. 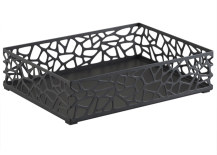 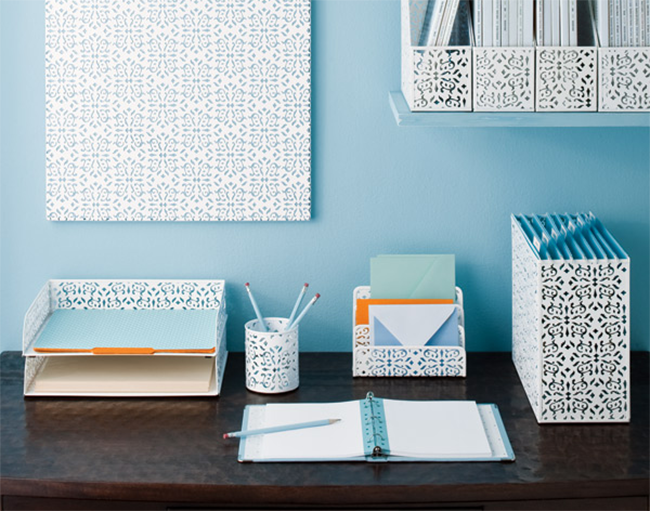 To add feminine flair to your workspace, dress it up with the Container Store’s lacy brocade paper holder. 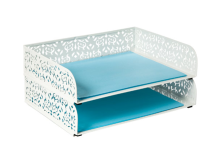 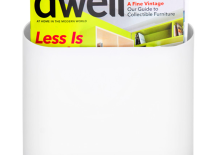 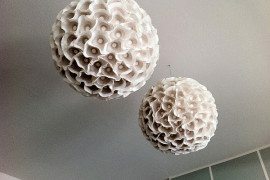 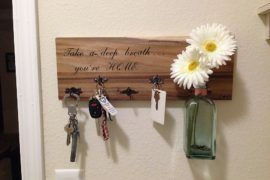 Although the stamped steel creates a doily-like appearance, the glossy white epoxy finish keeps it clean and modern. 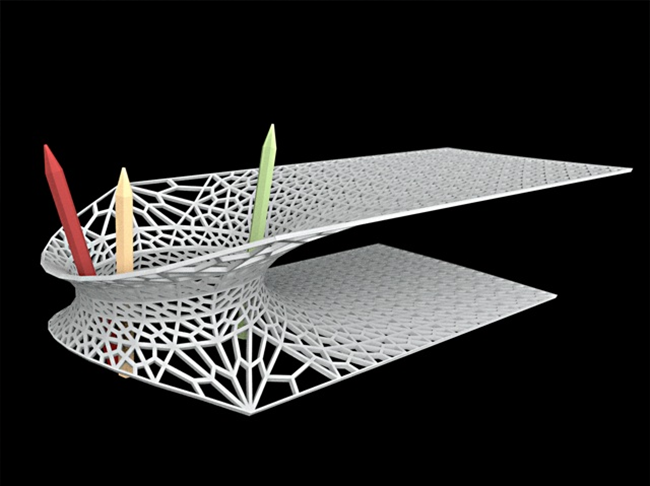 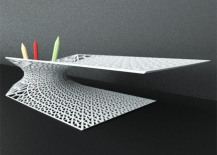 The winner of Shapeways’s ICFF 2011 Design Contest, Dominik Raskin’s 3D-printed paper tray and pen holder-in-one is like a piece of modern art for your desk. 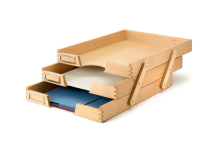 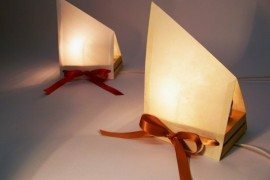 The unique 2-in-1 form features an architectural, cantilevered surface for storing papers, and takes up less desk space than most traditional paper holders. 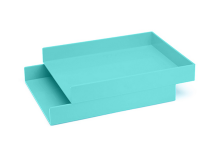 Bring the party to your desk with these festive Edison stacking paper trays. 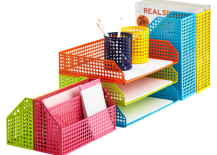 Made of perforated, stamped steel, they come in a rainbow of hues and can be color-coordinated or mixed and matched. 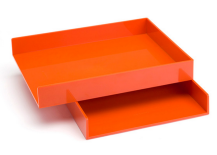 With a simple aesthetic that celebrates the minimalism of nature, Manufactum’s Beechwood triple letter tray is a no-fuss piece with plenty of function. 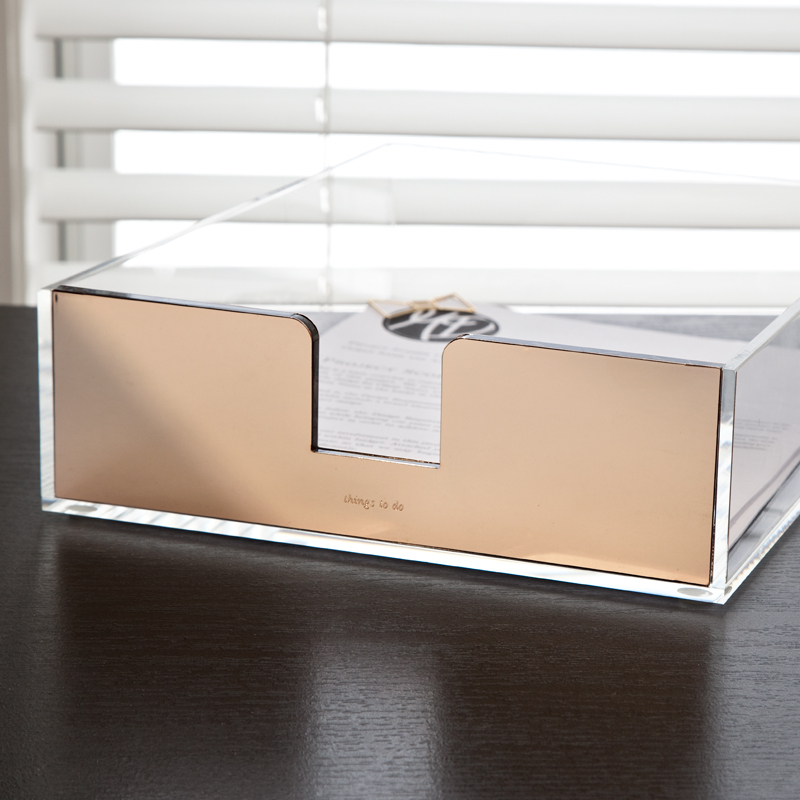 The set’s three movable letter trays can be opened up or closed for easy access, and handsome metal label holders make it a breeze to find the document you need. 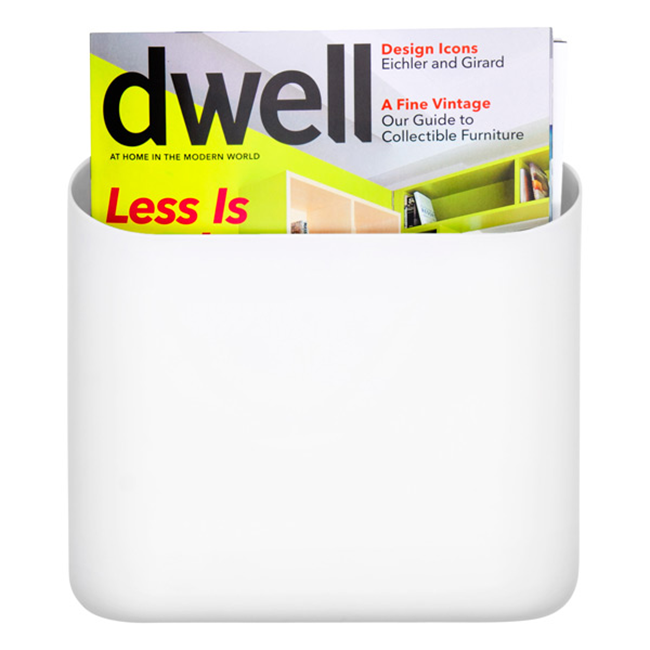 Industrial yet softened with organic lines, the Nest paper holder is a sophisticated choice made of stamped steel. 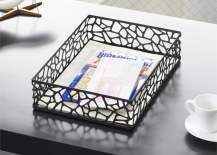 Use one by itself as a mail inbox or stack multiple trays together to keep all of your important documents neat and organized. 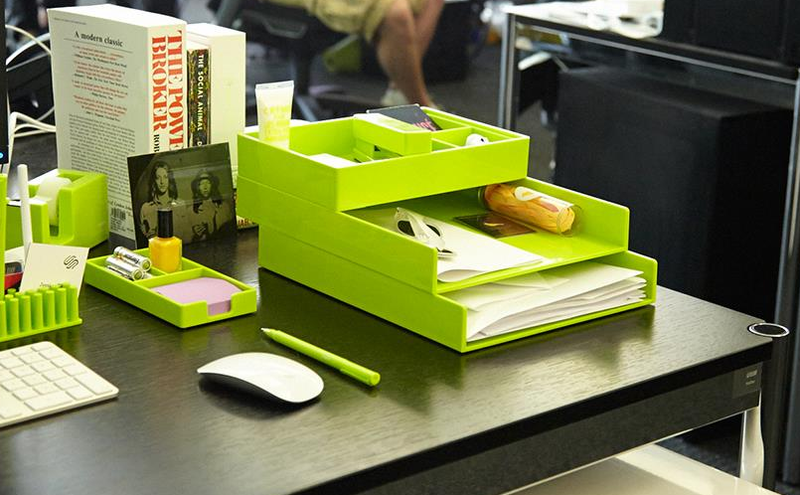 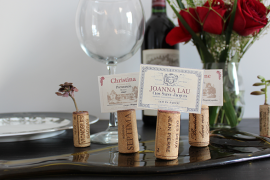 Which one of these paper holders would you most like to see atop your desk?